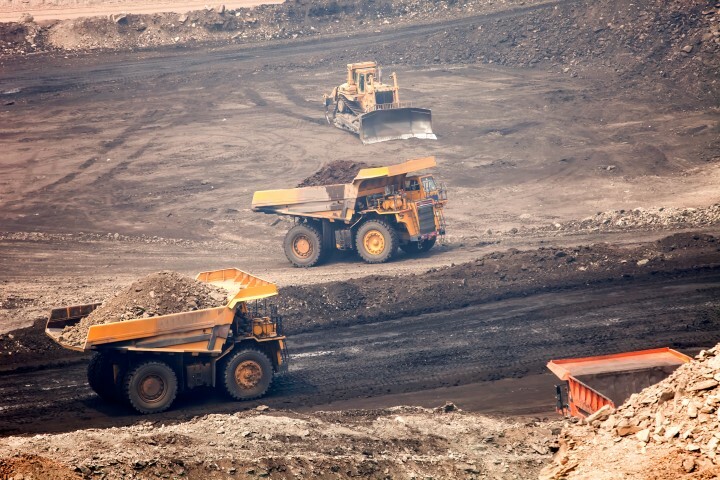 THE Fair Work Commission supporting the dismissals of two employees for failing to report unrelated mining safety incidents validates employers taking a firm stance on safety and dismissing offenders for non-compliance. Last week, the FWC supported Anglo Coal (Dawson Services) Pty Ltd in its dismissal of a truck driver for failing to report damaging a critical safety control, despite the Anglo Coal employee blaming the incident on pain from a broken tooth. In a second matter, the FWC found the sacking of a Central Queensland Services employee was acceptable because the failure to report a breach of a blasting exclusion zone constituted a serious safety misconduct. In both matters the FWC found the employees had not been forthcoming in key facts and rejected their unfair dismissal applications. The matter handed down last week involved a truck driver at Anglo Coal’s Dawson Creek mine who was dismissed in November 2015 for not reporting he had flattened a 1.8-metre bund wall while driving his dump truck. The man told the FWC he lost concentration after he broke a tooth while eating an apple. FWC Deputy President Ingrid Asbury, however, found his actions of flattening a critical safety control preventing trucks from driving onto the wrong side of the road – and not reporting it – was a serious breach of Anglo’s WHS safety policies. She found the man’s claim improbable that he checked the truck after the incident and found no damage, because the bund was flattened to less than a third of its normal height. The next day the truck’s wheel chocks were found to be damaged, dirt was over the headlights and wheels, and, the vehicle was sent for immediate repairs. Anglo argued he did not pay the necessary care and attention to his work, did not take responsibility for the incident and did not accept he had even hit the bund until provided video evidence by the employer. Deputy President Asbury found his account was inconsistent and accepted evidence the truck would have jolted and titled when the incident occurred. She found his dismissal was not unfair, noting it was relevant the man had been twice previously warned about the implications of failing to follow Anglo’s policies and procedures. In another matter heard by the FWC in January, the dismissal of an employee who failed to properly report a ‘serious’ exclusion zone breach was also upheld. FWC Commissioner Jennifer Hunt heard the Central Queensland Services Pty Ltd (CQS) operator failed to disclose important information about the incident in the investigation that followed. The employee was operating a dozer at the Bowen Basin Caval Ridge Mine in February last year when she realised she had entered a misfire exclusion zone because a shovel operator had earlier knocked over demarcation cones. She told the shovel operator to report the incident to their supervisor, and kept working. The shovel operator was dismissed and a mine supervisor was stood down as a result of the incident a few days later. • Failed to ensure the exclusion zone was resecured, and failed to disclose important information during the first investigation. The employee claimed unfair dismissal, seeking reinstatement or 26 weeks’ pay, and argued her dismissal was ‘infected’ by the superintendent’s incompetence. The Commission heard the employee had previously made complaints against the superintendent, alleging he bullied, subjected her to differential treatment and had admitted to lying about the safety incident. Commissioner Hunt rejected her claim, finding there had not been any unfair or adverse actions against the employee, but she had failed in her responsibilities to adequately report a ‘dangerous’ incident, and exposed workers in following shifts to safety risks. She should have made inquiries to satisfy herself the supervisor knew about the situation, because if primers in the misfire area had been ‘live’, it could have resulted in an explosion and multiple casualties, Commissioner Hunt said. The Commission noted the employee was the ‘most senior and experienced female operator’ at the mine and somewhat a ‘celebrated employee’ for gender equity, but that despite this status her actions warranted dismissal. In recent years AMMA has been a strong critic of the Fair Work Commission’s approaches to unfair dismissal given the tribunal’s growing tendency to award compensation or reinstatement ever where a valid reason for termination existed (see reform priorities four and five here). However these two cases demonstrate that the Commission will back employer termination action related to significant breaches of safety protocols, particularly in potentially hazardous environments such as the resources sector. Both cases indicate exceptional circumstances such as a loss of concentration due to breaking a tooth, or relying on a colleague to report a safety incident, are not sufficient grounds for failure to adhere to site safety protocols. Importantly, a major factor in the employers’ ability to successfully defend these unfair dismissal applications was the rigorous investigation process in both cases, and the meticulous documentation of evidence and findings that serious misconduct had occurred. AMMA’s workplace relations team has specialist sector-specific capability in conducting workplace investigations, managing disciplinary or termination processes, and defending termination decisions in courts and tribunals. For any assistance, contact your local AMMA office.